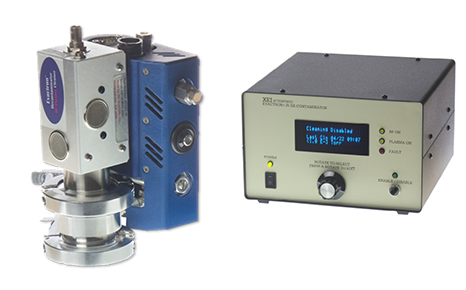 This easy to use tabletop model easily removes atmospheric hydrocarbons and carbon contamination from SEMs, FIBs, and other vacuum chambers. The Evactron® 25 De-Contaminator uses a remote RF plasma to produce gas-phase radicals that flow downstream through the chamber, eliminating contamination. Join over 1,200 users worldwide, and get the best possible performance and images from your instrument with regular Evactron® Cleaning. A simple button push enables the VentDetectTM Evactron Cleaning start process.